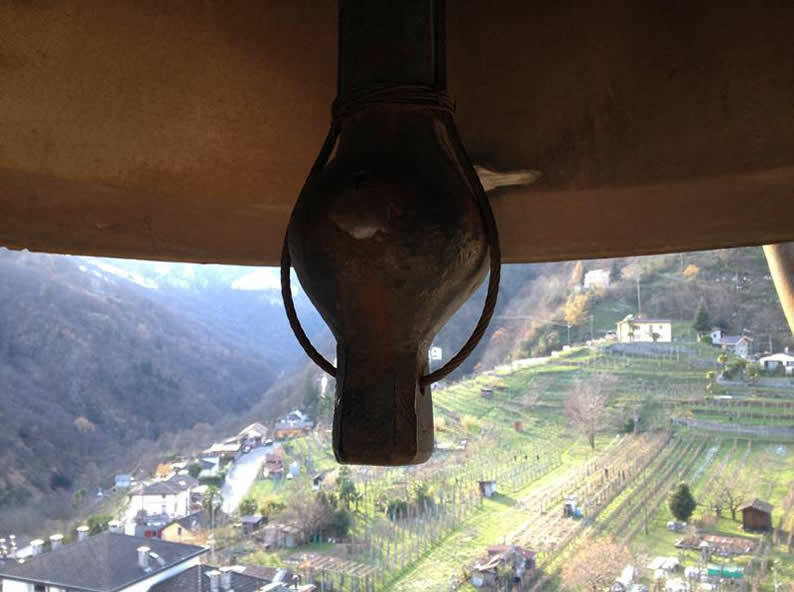 The most unusual 360 degree panoramic viewpoint of Ticino can be found in Intragna: Not on a mountain, but on the highest bell tower of the canton. 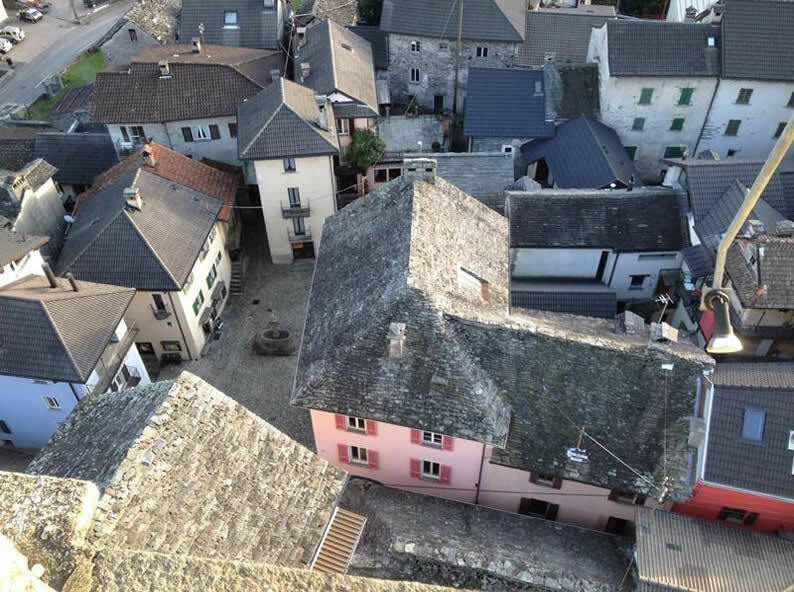 Intragna, seat of the municipality of the Centovalli, rich in memory, lets the past live today. The village consists of a historical of buildings grown around a charming village square with a fountain. 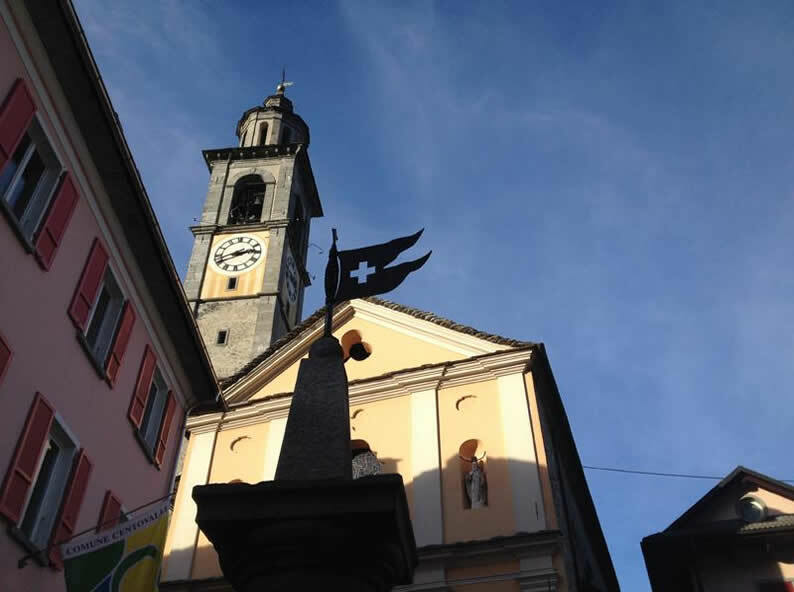 Easy and convenient to reach with the scenic Centovalli train from Locarno, this village attracts many visitors interested in discovering the authentic side of Ticino. The bell tower with a height of 65 meters is situated in the heart of the village. One can climb up the 166 granite steps and access the bell platform. A bird’s view perspective onto the nucleus of Intragna and panoramic view on the Centovalli and Pedemonte lies in front of the visitors eyes. A project for the establishment of a second Swiss national park is undergoing at the moment. Intragna would be in its centre. Besides the bell tower, the second must-do is a visit to the regional museum of Centovalli. The collection allows you to gain an understanding of the place’s less joyful history. Young men from Intragna used to be sent to European cities as chimney sweepers. For hikers Intragna is the ideal starting point to discover the Centovalli. There are gondolas from Intragna to Costa, and from the neighboring village Verdasio to Rasa and Monte Comino. In the region many artifacts related to the traditional peasant society can be found. Among them are the Roman bridge over the Melezza river, the frescoes in the Church of San Michele, and the two historical nuclei of Terra Vecchia and Bordei that have been rebuilt and revaluated lately.